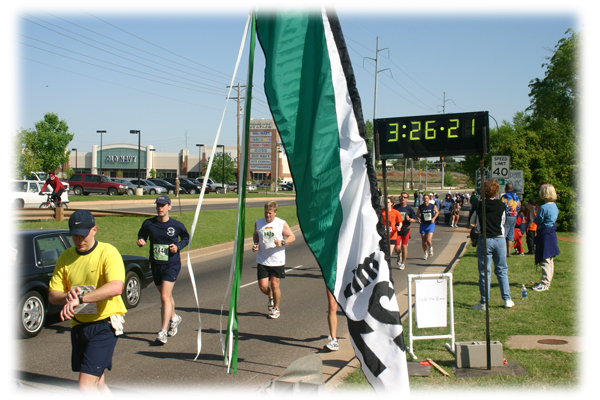 After months of training, I completed all 26 miles 385 yards of the Oklahoma City Memorial Marathon on 24 April 2005. It was a great experience! 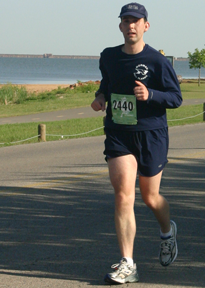 After completing a 5-km walk that started simultaneously with the marathon, half marathon, and relays in downtown Oklahoma City, my wife Elaine rode her bike to the most distant part of the course to catch me passing Lake Heffner at about mile 16. I'm glad Elaine caught me fairly early in the second half of the course, because even my somewhat forced smile began to fade as I passed mile 18. 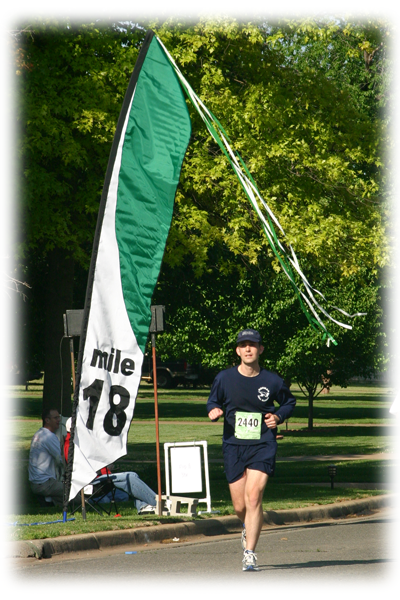 The big mile-marker flags were encouraging because they were visible for some time before reaching them. 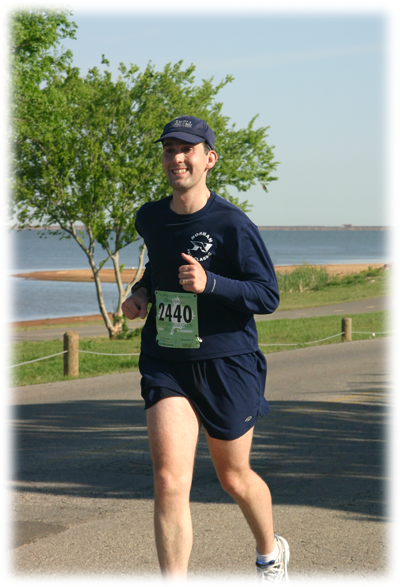 Elaine grabbed this shot of me just a few steps past the 19-mile marker. This is a water stop at about 19.5 miles. 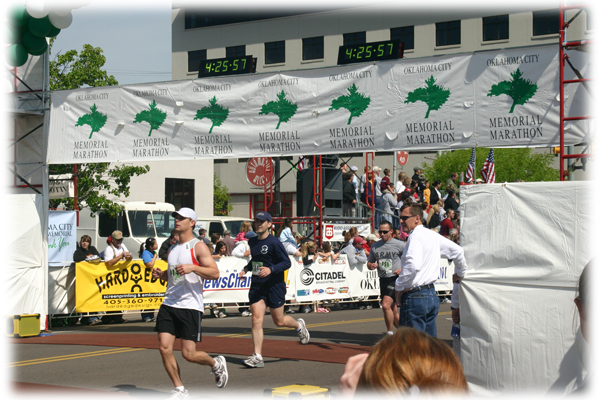 A total of 168 banners lined the marathon route in remembrance of those who died in the 19 April 1995 bombing of the Alfred P. Murrah Federal Building in Oklahoma City. 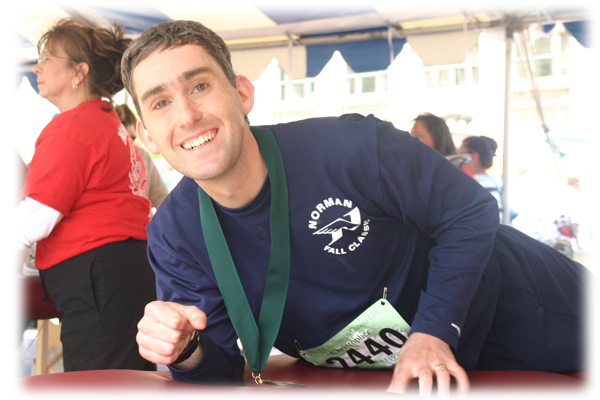 In the course of my training I battled knee pain and a nagging Achilles tendon injury, but at mile 8 on the day of the marathon I developed some hip pain. It did not improve in the following 12 miles. 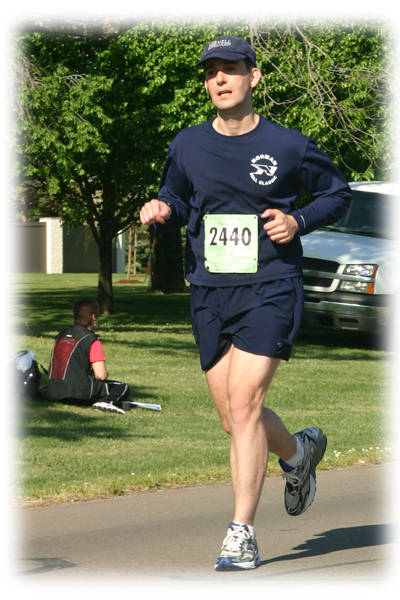 So here just before mile 20, my candid expression says it all. 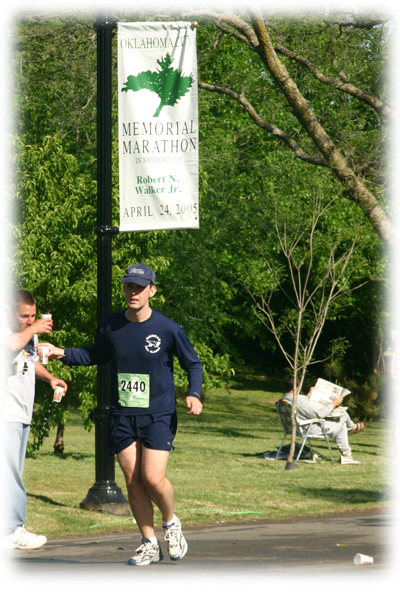 Even at the 21-mile marker the course is packed with marathon and relay runners. 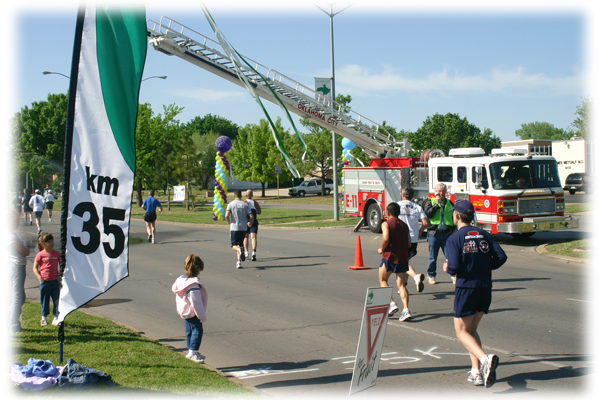 The runners were welcomed by onlookers and emergency personnel as we headed back toward Oklahoma City past the 35-kilometer (21.7-mile) marker. 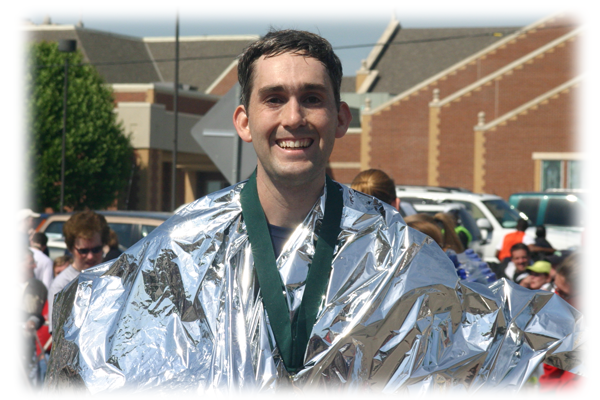 I crossed the finish line 4 hours and 24 minutes and 26 miles 385 yards after I passed the starting line. And the smile returns. 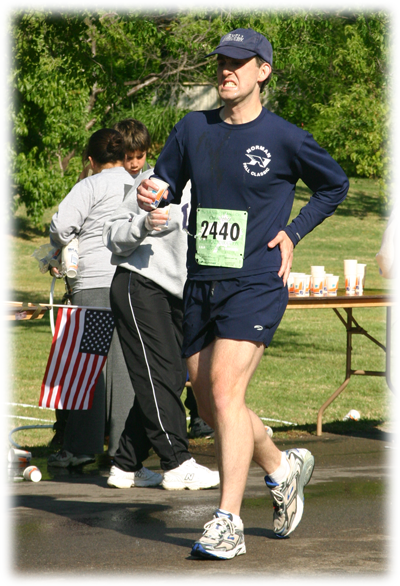 I could not have completed the race without Elaine's help and encouragement. She slowly rode her bike along with me during all of my long Saturday runs in sometimes cold and rainy weather. For distances of 10-20 miles, she provided me with drinks, snacks, and conversation. Thanks Elaine! Lastly, I enjoyed a free massage after the race.